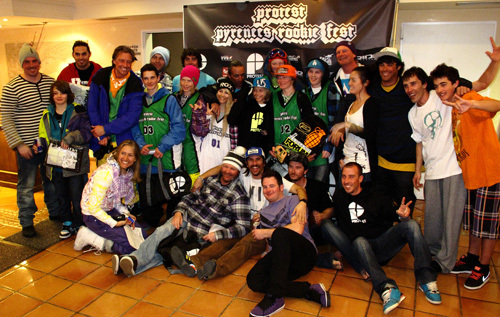 Spring time showed up in a magic saturday in Vallnord, Andorra, for the 3Star Swatch TTR Slopestyle Protest Pyrenees Rookie Fest, the second international stop of the World Rookie Tour 2011. 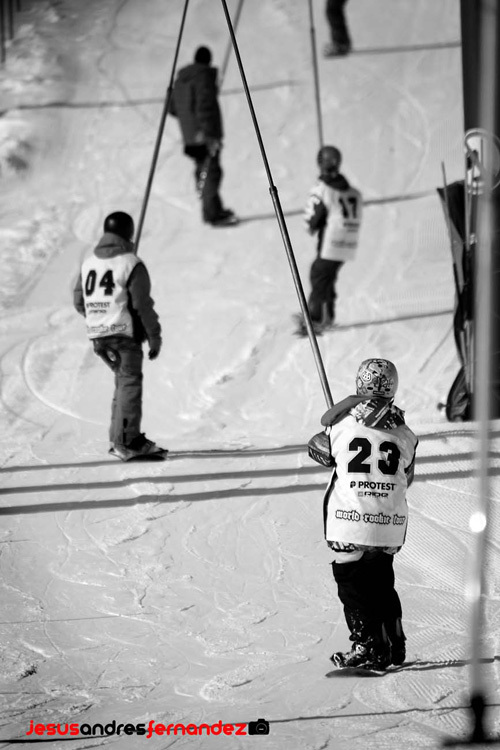 The rookies started trainings from early morning on 3 jumps and the final rail set to find their perfect run. Timmy Saisa from Sweden show a solid style during the qualication day but in the first two run of the final nothing was done. Lewis Courtier-Jones (GBR) challenged until the end for the first position but Timmy Saisa get the maximum score of the day on his third run including cab5, bs7, fs5, 50-50 180out. 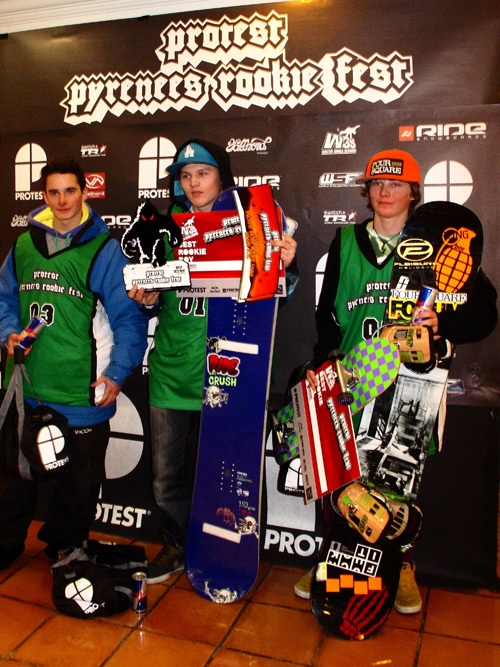 Timmy won an all-inclusive invitation to the Protest World Rookie Finals, a ticket to the Ride Shake Down in Garmisch, a ticket to the Protes Manifest and a ticket to the next World Rookie Tour stop in Czech Republic. Cristian Botella (ESP) took the third position on the rookie category while “local hero” Manex Azula got injured during the trainings. 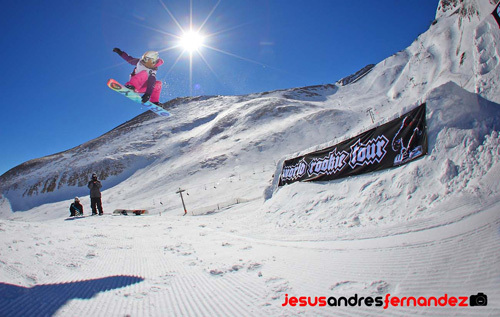 The little blondie french Chloe Sillieres, 13 years old, showed an high level for this age, landing smooth bs3, fs3 and nice frontside5. 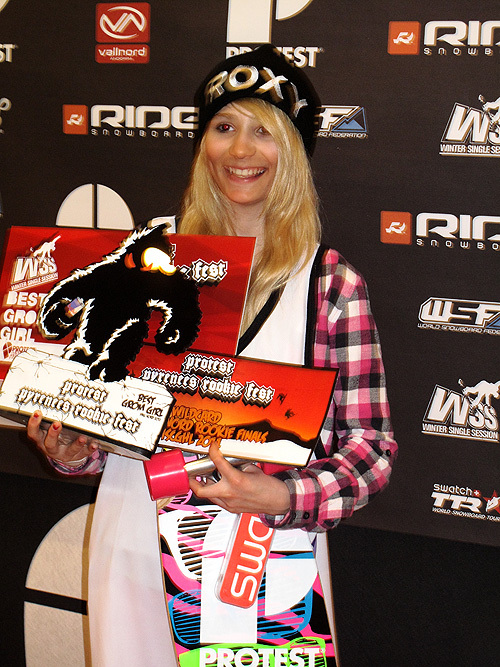 She was super stocked to won an invitation for free at the Protest World Rookie Finals. On the grom side, Bing Voorham from Netherland was impressive and as well the spanish Pau Bartolo. 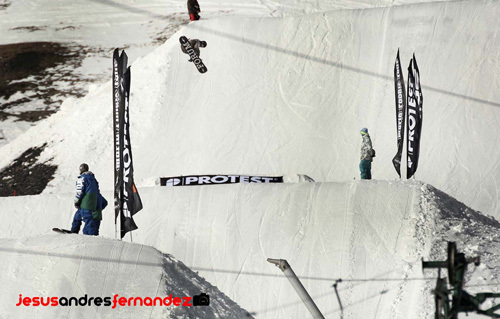 They did their best stomping every trick against Benjamin Lestage (SWE) but the swedish took the first position among the groms with a huge cab5, fs7, bs3 and a boardslide switch out on the rail. Second place for Voorham (NED) and third for Bartolo (SPA). 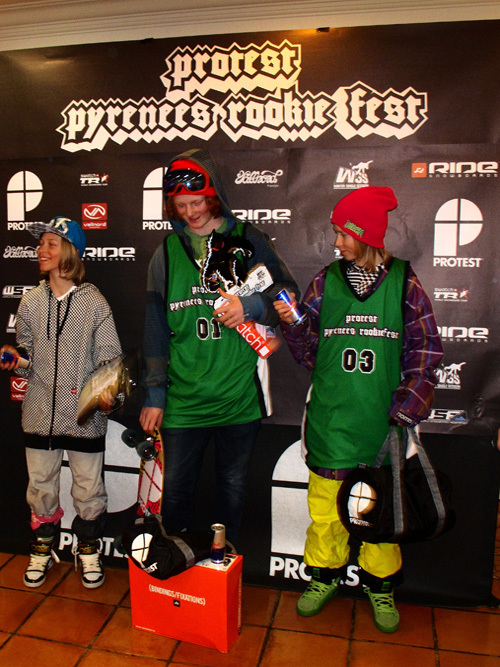 The World Rookie Tour is now moving to East Europe with the third edition of the East Rookie Fest in Spindleruv Mlyn, Czech Republic, from 18 to 20 March and the Transilvania Rookie Fest in Romania, from 25 to 27 March.